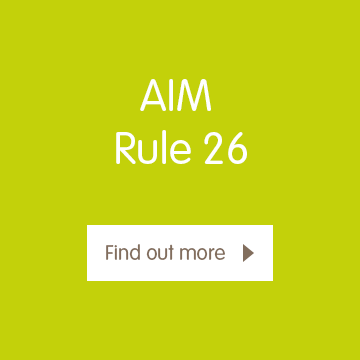 The information contained in this section of the website is disclosed for the purposes of AIM rule 26 and all details last updated 31 January 2019. 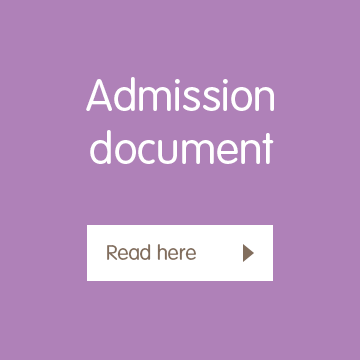 The Company’s admission document can be found here. The names and biographies of the Company’s board of directors’ can be found here. A description of the business can be found here. A list of the Company’s advisers can be found here. The Company’s Articles of Association can be found here. 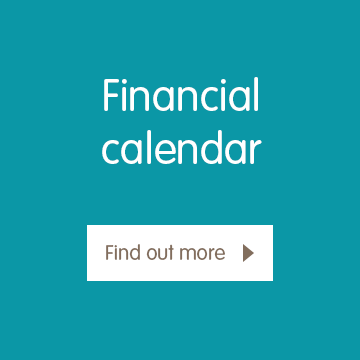 The Company’s Schedule of Matters Reserved for the Board can be found here. The securities of the Company are traded on the AIM market operated by the London Stock Exchange plc. Its shares have not been admitted (or subject to an application to be admitted) for trading on any other exchanges or trading platforms. There are no restrictions on the transfer of the Company’s ordinary shares and all shares carry voting rights. 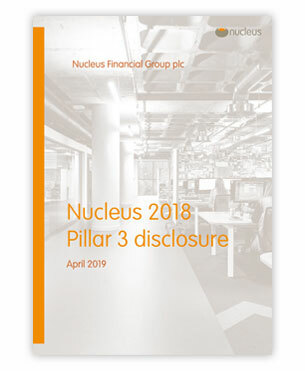 As at 31 January 2019, the percentage of the Company's issued shares held by company directors is 3.69%. 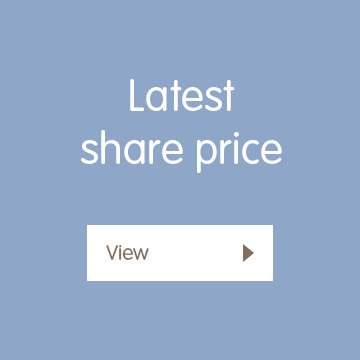 As at 31 January 2019, the Company had 76,473,360 ordinary shares in issue. The Company does not hold any ordinary shares in treasury and therefore the number of ordinary shares with voting rights as at 31 January 2019 is 76,473,360. The executive management team and the board of directors recognise the value and importance of maintaining the highest standards of corporate governance and aim to comply with the principles set out in the UK QCA Corporate Governance Code. The QCA code sets out a standard of minimum best practice for small and medium-sized quoted companies, particularly AIM listed companies. 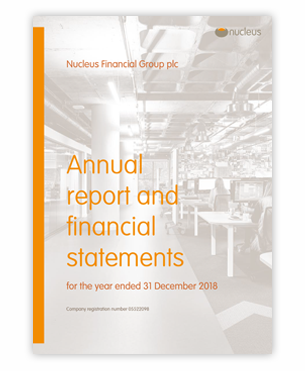 The company’s corporate governance statement which sets out how the company complies with the principles of the code, can be found here. The Company’s latest RNS announcements can be found here. The adviser-built wrap platform, supporting financial advisers in creating brilliant client outcomes. 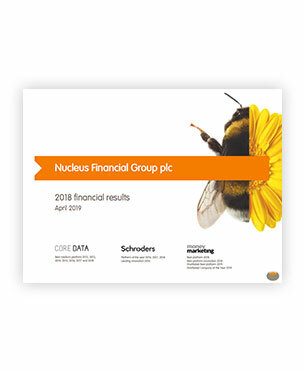 Nucleus is an award-winning online wrap platform, launched in 2006 in partnership with a group of financial adviser firms who set out to create a platform with a difference. We created a new model, putting the adviser and client at the heart of the process, focusing on a client-aligned approach rather than a product-led one, to develop a platform that was committed to transparency and banishing complexity. The platform allows advisers to combine all of their clients’ assets into a single, manageable online account. This enables portfolios to be viewed at a glance, allowing easy valuations and variations to be made. Today we work with over 800 adviser firms and continue to be driven by advisers. We provide an entirely independent wrap platform with access to a wide range of tax wrappers and an open architecture approach to investments. The platform is built on next-generation technology allowing it to scale and is backed by award-winning customer service. The Board is responsible for leading and governing the Group and has overall authority for the management and conduct of the Group’s business, strategy and development. The Board is also responsible for ensuring the maintenance of a sound system of internal controls and risk management (including financial, operational and compliance controls) and for reviewing the overall effectiveness of systems in place as well as for the approval of any changes to the capital, corporate and/or management structure of the Group. The Board comprises eight Directors, two Executive Directors (David Ferguson and Stuart Geard) and six Non-Executive Directors, reflecting a blend of different experiences and backgrounds. The Non-Executive Directors comprise a Non-Executive Chairman (Angus Samuels) and five further Non-Executive Directors (John Levin, Margaret Hassall, Tracy Dunley-Owen, Jeremy Gibson and Jonathan Polin). Full biographies for each director are available by clicking on the images below. The Board considers Angus Samuels, John Levin, Margaret Hassall and Tracy Dunley-Owen to be independent Non-Executive Directors, and as such, free of any relationship which could materially interfere with the exercise of their independent judgement. 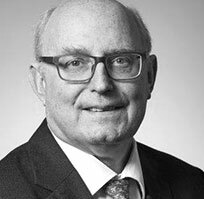 Angus Samuels joined the Board of the Company in July 2006 as a Non-Executive Director and was appointed Chairman in March 2017. 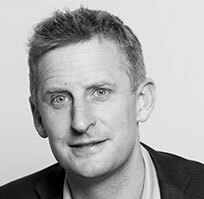 He has previously held a number of Chief Executive Officer roles, including at Sanwa Asset Management UK Limited, Credit Suisse Asset Management Limited and Sanlam Investment Management Limited (South Africa). He currently serves as the Chairman of Punter Southall Group Limited and Craven Street Capital Limited and holds a number of other Non-Executive Directorships, including with Sanlam UK Limited and Sanlam Life and Pensions UK Limited. As well as chairing the main board, Angus is a member of the Audit, Nomination, Remuneration and Risk committees. The Board considers Angus Samuels to be an independent Non-Executive Director. 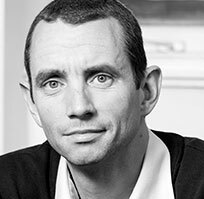 David Ferguson co-founded the Company in 2006 and has been the Chief Executive Officer since then. Previously, he was Director of Abacus Financial Marketing Limited. He was a trainee actuary with Life Association of Scotland Limited prior to working at Ivory & Sime Limited and what was then known as Scottish Life International Limited. He has also been a member of Her Majesty’s Treasury Fintech Envoy for Scotland since December 2016 and is the current Chairman of FinTech Scotland. He has a BSc (Hons) (Actuarial Mathematics and Statistics) from Heriot-Watt University. Jeremy is a member of the Audit Committee and Risk Committee. John Levin joined the Board in 2017 as a Non-Executive Director. He co-founded and is Chairman of Quanis Limited, Certua Group Limited and Surely Limited. He also co-founded Telecom Plus PLC where he was a Non-Executive Director from 1997 to 2006. Mr Levin has held senior positions in several companies including, Chairman of Amtrust Europe Limited, Chief Executive Officer and Non-Executive Director of IGI Group Limited. He is presently Chairman of Car Care Plan (Holdings) Limited, Motors Insurance Company Limited and Rocketer Limited and sits on the board of Money Dashboard Limited, Ashton Insurance Services Limited and Integrated Protection Solutions Limited. Mr Levin was also a Non-Executive Director at Pedigree Livestock Insurance Limited and Chairman of Q-Cloud Services Limited. John is a member of the Audit, Nomination, Remuneration and Risk committees. The Board considers John Levin to be an independent Non-Executive Director. 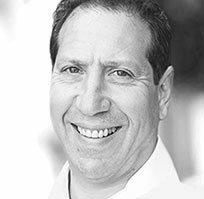 Jonathan Polin joined the Board in 2016 as a Non-Executive Director. He currently serves as the group Chief Executive Officer of Sanlam UK Limited, which he joined in 2015. Previously, he was group Chief Executive Officer of Ashcourt Rowan Limited. Prior to this, he was a Director at Ignis Asset Management Limited. Mr Polin began his financial services career with Prudential PLC in 1992, having spent the previous 12 years in the Army. In 1994, he took up the position of Managing Director UK, European and Middle Eastern sales at what was formerly known as Aberdeen Asset Management PLC. Jonathan is a member of the Nomination Committee and the Remuneration Committee. 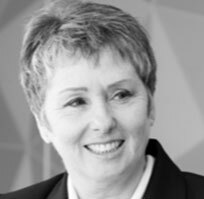 Margaret Hassall is currently an Independent Non-Executive Director at OneSavings Bank. Margaret brings a broad range of experience developed across various industry sectors including manufacturing, utilities, and financial services. She spent seven years working for Deloitte as a consultant and led the financial services consulting business for Charteris. Margaret has also been engaged as chief operations officer or chief information officer for divisions within some of the world’s largest banks, including Bank of America Merrill Lynch, Barclays and Royal Bank of Scotland. Margaret is a Non-Executive Director for Ascension Trust (Scotland). She will chair Nucleus’ Nomination and Remuneration Committees. The Board considers Margaret Hassall to be an independent Non-Executive Director. 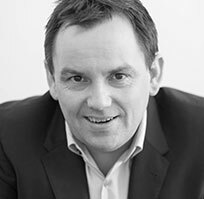 Stuart Geard joined the Company as Managing Director in 2012 and more recently became Chief Financial Officer in August 2017. 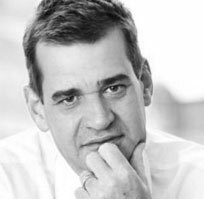 Mr Geard started his career in 1997 with what is today PwC South Africa before moving to Sanlam Limited as a senior manager in corporate finance. He moved to the UK in 2005 as head of finance and investments for what is now Sanlam Life and Pensions UK limited prior to becoming Finance Director of Sanlam UK Limited. He also served as Director at Sanlam Private Investments UK Limited and Sanlam Life and Pensions UK Limited. He qualified as a Chartered Accountant in South Africa with PwC in 2000 and has passed all three levels of the CFA exams. He graduated from the University of Cape Town with a BBusSc (Finance) and a Post-Graduate Diploma in Accounting. 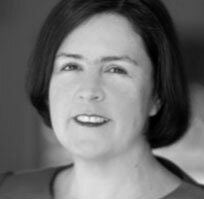 Tracy Dunley-Owen joined the Board in 2018 as an Independent Non-Executive Director. She has held senior executive finance roles up to Chief Financial Officer and Board, Audit and Risk Committee responsibilities at various companies within the Old Mutual PLC group, Guardian Financial Services Group, a division of Swiss Re Life Capital and Celestial Financial Services Limited. She is a Non-Executive Director of Lifecheq (Pty) Limited and an Independent Non-Executive Director for the Women’s Investment Portfolio Holdings (Pty) Limited where she serves as a Member of the Audit Committee, Chair of the Nomination & Remuneration Committee, and Chair of the Social and Ethics Committee. Tracy is chair of the Nucleus Audit Committee and Risk Committee. The Board considers Tracy Dunley-Owen to be an independent Non-Executive Director. Our executive leadership team is responsible for the day-to-day management of the business and implementing Nucleus’ strategy. 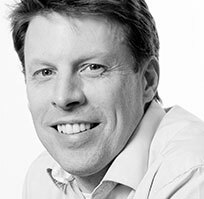 Andrew Smith re-joined the Company in January 2015 and is the Chief Technology Officer. He has been involved in Nucleus from inception and was previously an employee from 2008-2012 where he worked as Chief Operating Officer. Mr Smith then worked as Chief Operating Officer for the Axa Wealth Elevate platform (now Aberdeen Standard Elevate Limited). Prior to this, he was Vice President of development and operations for Thomson Reuters Corporation. He has also worked at Logica Limited, where he worked internationally for a variety of clients including Financial Times, ANZ Bank and Telstra. Mr Smith holds a BSC (Hons) (Computing Science) from the University of Aberdeen as well as a MSc (Cognitive Science) from the University of Birmingham. 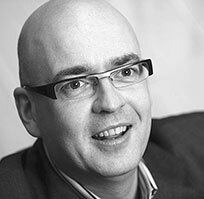 Barry Neilson joined the Company in January 2010 and is the Chief Customer Officer. Previously, Mr Neilson was the business development director at F&C Management Limited. Prior to that, he worked at Friends Ivory & Sime Limited. Barry is responsible for the sales, account management, customer services and communications teams. Kirsty Lynagh joined the Company in May 2015 and is the Chief People Officer. 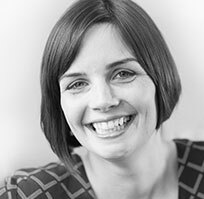 Kirsty joined Nucleus from the Royal Bank of Scotland PLC where she spent 4 years. Prior to that, she worked in a series of Human Resources roles for Super Retail Group Limited in Australia and Ernst and Young Limited in London. She holds a BA (Business Studies with Human Resources) from the London Metropolitan University and has a Diploma (Workplace Business and Coaching). She also is a member of the Chartered Institute of Personnel and Development. In 2017 she was awarded ‘Human Resources Director of the Year’ at the Scottish Human Resources Network awards. 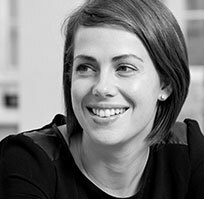 Nicola Megaw joined the Company in October 2012 as the head of legal and thereafter also headed up the product technical function. She is now the Chief Legal Officer, and the company secretary. She has 13 years’ legal experience in corporate, capital markets, funds and distribution. Previously, she worked for Shepherd and Wedderburn LLP as a Corporate Finance Solicitor. She also spent a secondment in 2007 with Cairn Energy PLC as deputy company secretary and solicitor. She holds a LLB (Hons) (Law), a Diploma (Legal Practice) from Aberdeen University and is also a member of the Law Society of Scotland. The executive management team and the board of directors recognise the value and importance of maintaining the highest standards of corporate governance and aim to comply with the principles set out in the UK QCA Corporate Governance Code. The QCA code sets out a standard of minimum best practice for small and medium-sized quoted companies, particularly AIM listed companies. The Board intends to meet regularly to review, formulate and approve, among other things, the Group’s strategy, system of internal controls, budgets and corporate actions. The Company has established an Audit Committee, Risk Committee, Nomination Committee and a Remuneration Committee with formally delegated duties and responsibilities and with written terms of reference. From time to time, separate committees may be set up by the Board to consider specific issues when the need arises. The Audit Committee’s role is to assist the Board with the discharge of its responsibilities in relation to external and internal audits and controls, including in respect of the Group’s CASS arrangements and reviewing the Group’s annual financial statements. The Audit Committee’s role is to assist the Board with the discharge of its responsibilities in relation to external and internal audits and controls, including in respect of the Group’s CASS arrangements and reviewing the Group’s annual financial statements, considering the scope of the annual audit and the extent of the non-audit work undertaken by external auditors. This will include advising on the appointment of internal and external auditors and reviewing the effectiveness of the internal control systems in place within the Group to ensure that the financial performance of the Group is properly measured and reported on. The Committee will also receive and review reports from the Group’s management (for example, in relation to risk assurance, legal and compliance matters), from internal auditors in respect of the matters identified to be reviewed in each period, and external auditors relating to the Group’s systems and controls in respect of its administration and oversight of client assets and client money under the CASS rules and guidance of the FCA Handbook, and the FRC standards, and in relation to the interim and annual accounts and the accounting and internal control systems in use throughout the Group, in all cases with due regard to the interests of Shareholders. The Committee will meet not less than four times in each financial year and will have unrestricted access to the Group’s external auditors. The Audit Committee is made up of at least three directors, the majority of whom are independent Non-Executive Directors and includes at least one member with recent and relevant financial experience. The Audit Committee currently comprises John Levin, Angus Samuels and Jeremy Gibson, and is chaired by Tracy Dunley-Owen. The Nomination Committee assists the Board in determining the composition and make-up of the Board. It is responsible for reviewing the Board’s structure and identifying potential candidates to be appointed as directors, and for making recommendations to the Board. The Nomination Committee’s role is to assist the Board in determining the composition and make-up of the Board. It is also responsible for periodically reviewing the Board’s structure and identifying potential candidates to be appointed as directors, as the need may arise, and for making recommendations to the Board in this respect. It also determines succession plans for directors and other senior executives. The Nomination Committee is responsible for a formal, rigorous and transparent process of evaluating appointments to the Board. It will meet not less than four times in each financial year and is made up of at least three directors, the majority of whom are independent Non-Executive Directors. The Nomination Committee currently comprises John Levin, Angus Samuels and Jonathan Polin, and is chaired by Margaret Hassall. The Remuneration Committee recommends what policy the Board should adopt on executive and senior management remuneration. It will also make recommendations on proposals for the granting of share options and other equity incentive plans. The Remuneration Committee’s role is to recommend what policy the Board should adopt on executive remuneration. The Committee determines the levels of remuneration for each of the Executive Directors and recommends and monitors the remuneration of members of senior management. It also makes recommendations to the Board on proposals for the granting of share options and other equity incentives pursuant to any employee share option scheme or equity incentive plans in operation from time to time, as well as receiving reports in respect of certain people matters and trends within the Group. The Committee will also generate an annual remuneration report to be received by the members of the Company. It will meet as and when necessary, but at least four times each year and is made up of at least three directors, the majority of whom shall be independent non-executive directors. The Remuneration Committee currently comprises John Levin, Angus Samuels and Jonathan Polin, and is chaired by Margaret Hassall. The Risk Committee advises the Board on the Group’s overall risk appetite and strategy, regularly reviewing and updating the risk assessment processes, including in relation to remuneration and compliance, and overseeing implementation of the strategy. The Risk Committee’s role is to advise the Board on the Group’s overall risk appetite and strategy including, inter alia, regularly reviewing and updating (if appropriate) the risk assessment processes in place, including in relation to remuneration and compliance functions, and assisting in overseeing implementation of the adopted strategy. The Committee will meet not less than four times a year and is made up of at least three directors, the majority of whom shall be independent Non-Executive Directors, one of whom shall be the chairman of the Audit Committee. The Risk Committee currently comprises John Levin, Angus Samuels and Jeremy Gibson, and is chaired by Tracy Dunley-Owen.